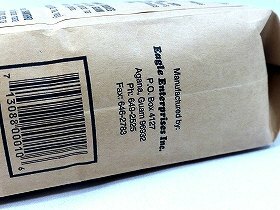 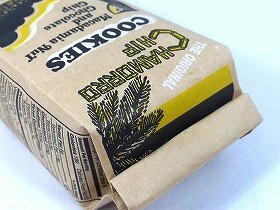 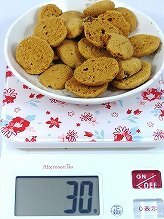 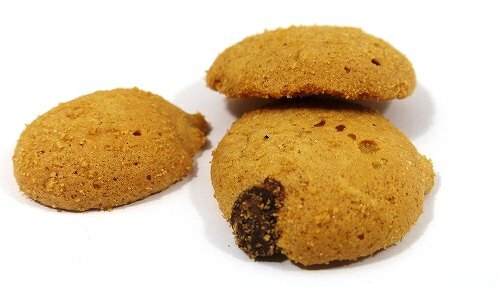 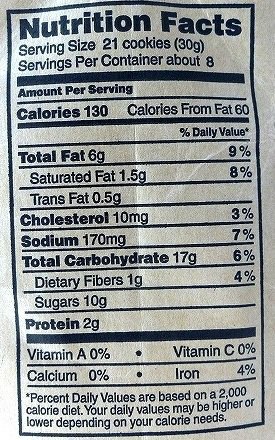 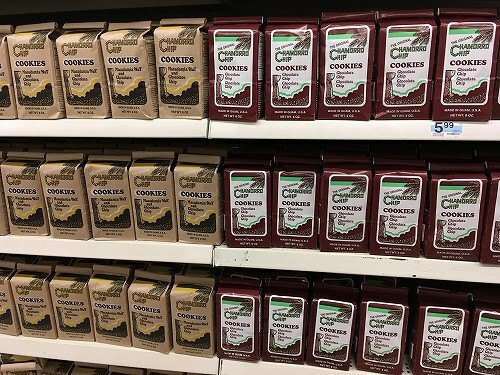 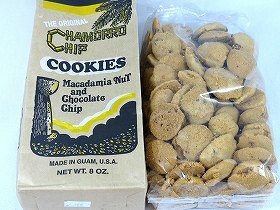 Ingredients: Enriched Wheat Flour (bleached wheat flour, enzyme for improver baking, niacin, iron, thiamin, mononitrate, riboflavin, folic acid),Sugar, Vegetable Shortening (partially hydrogenated soybean oil and partially hydrogenated cottonseed oil), Chocolate Chips(sugar, chocolate liquor, cocoa butter, soybean lecithin added as an emulsifier and vanillin), Eggs, Macadamia Nuts, Water, Artificial and Natural Flavors (water, propylene glycol, high fructose corn syrup, natural and artificial flavor, caramel color, ethyl alcohol, invert sugar, saccharin, glycerin, sulfites), Sodium bicarbonate, Salt. 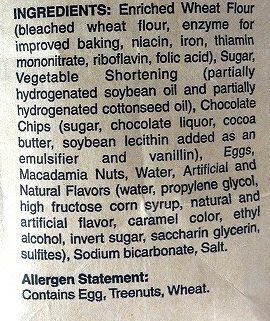 Allergen Statement:Contains Egg, Treenuts, Wheat. 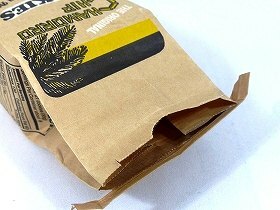 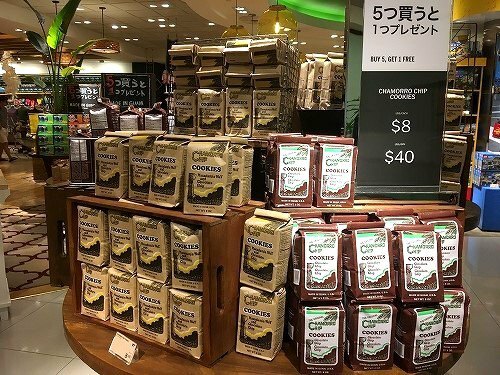 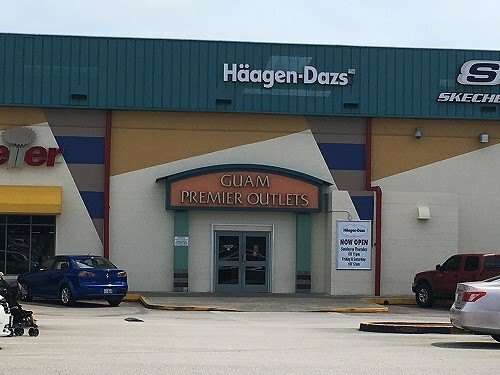 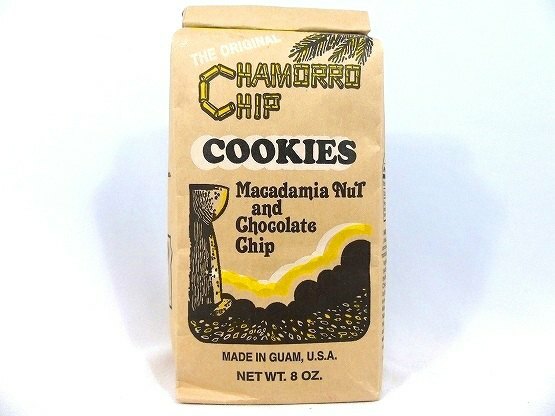 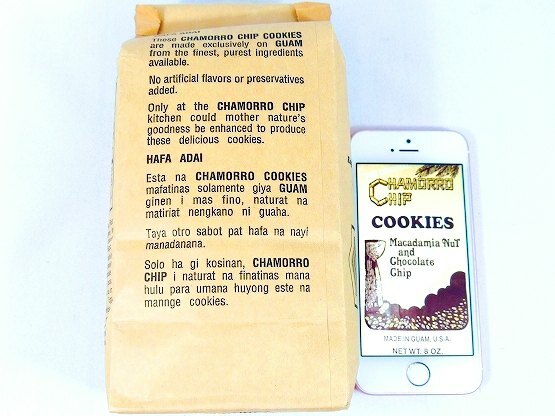 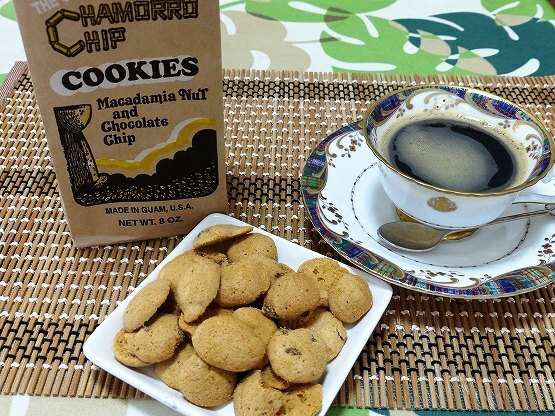 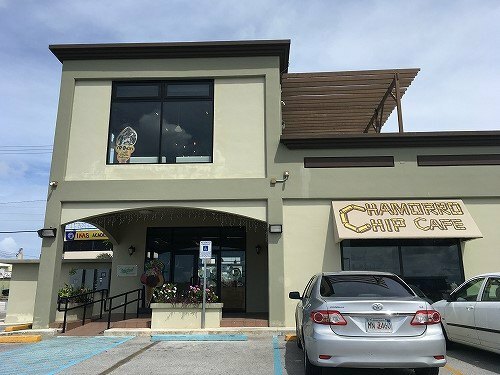 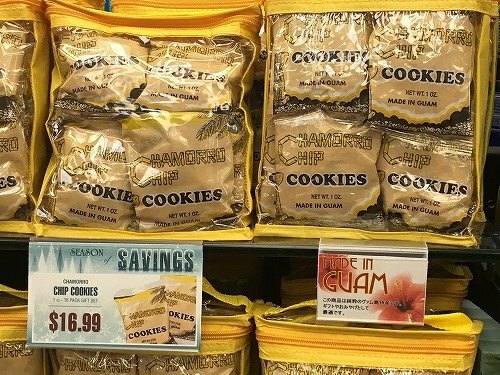 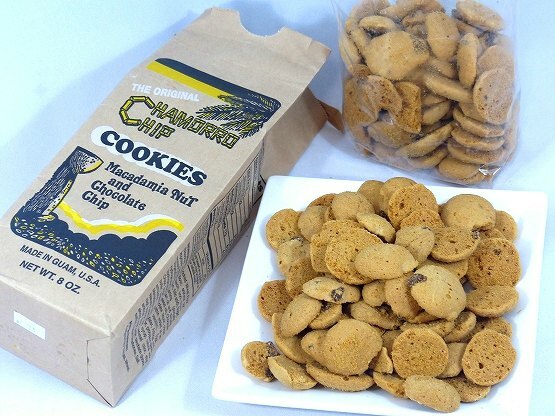 These Chamorro Chip Cookies are made exclusively on GUAM from the finest, purest ingredients available. 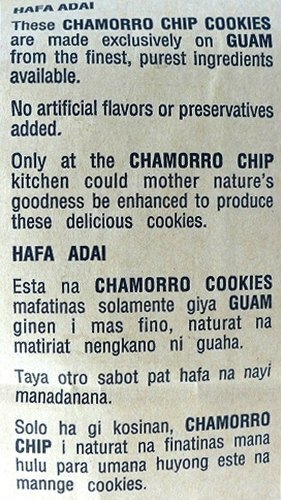 Only at the Chamorro Chip kitchen could mother nature's goodness be enhanced to produce these delicious cookies.